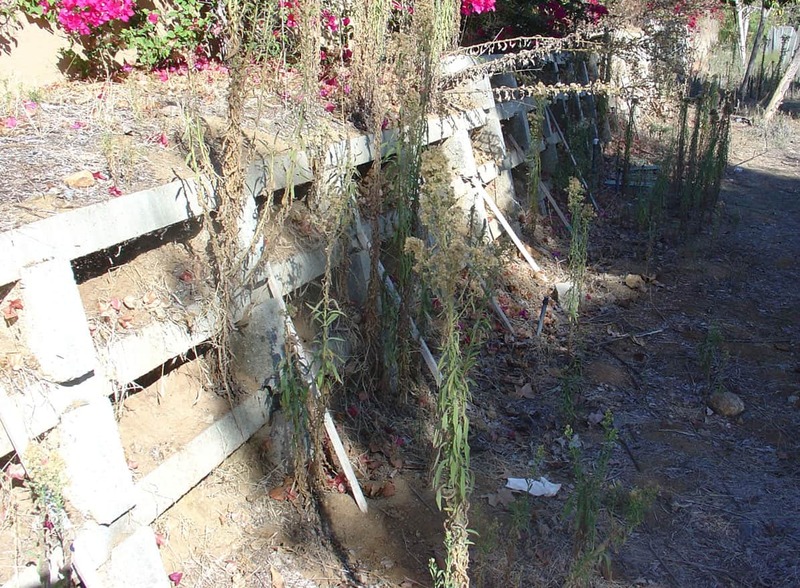 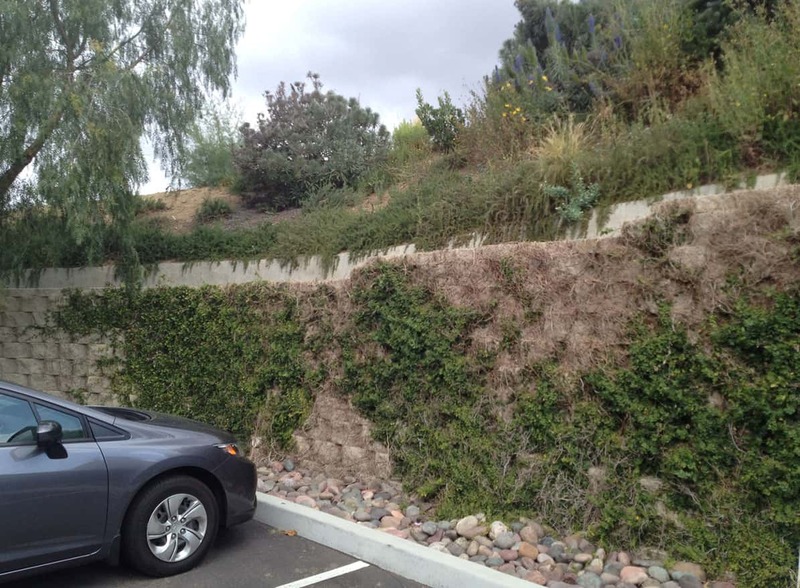 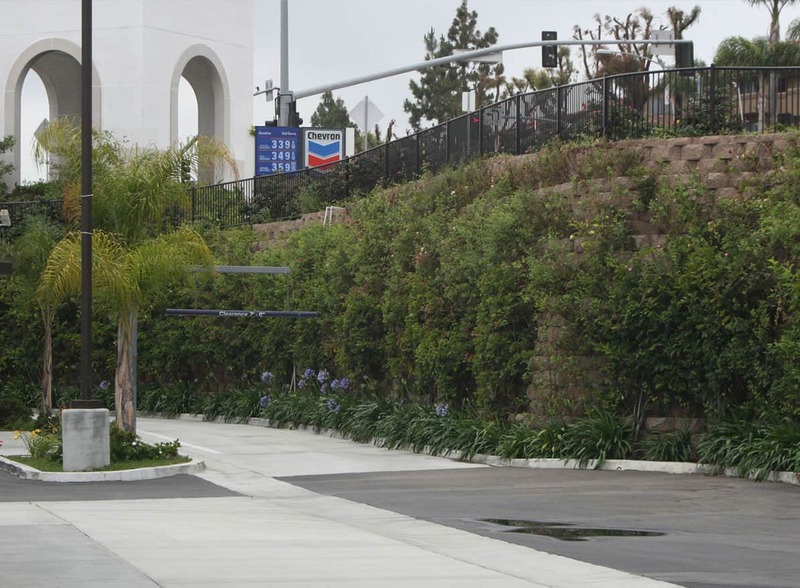 Today it is not uncommon for an agency in California to require a plantable retaining wall if it exceeds a certain height. 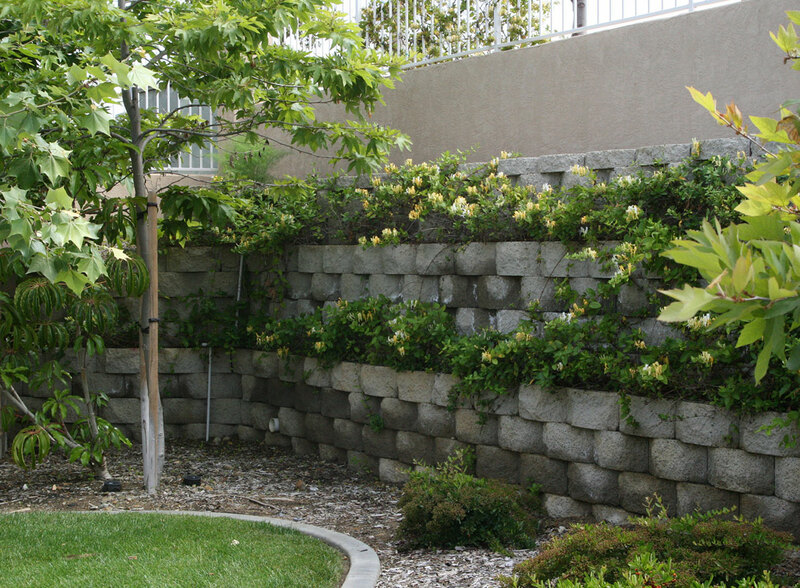 They can be quite attractive because, if it is done right, it will be fully covered in green plant material in a relatively short period of time. 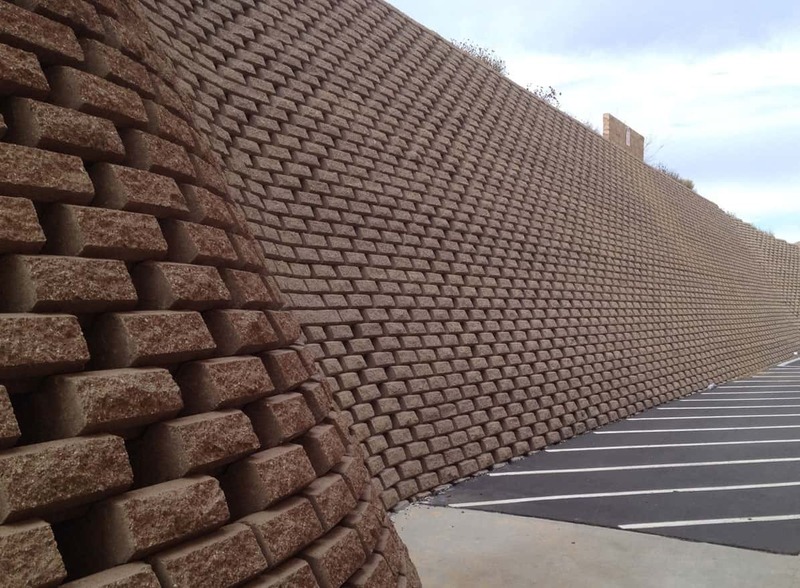 Plantable walls come in many brand names - all with a little different twist or selling point. 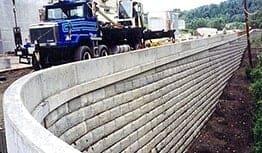 Since Hillside has constructed millions of Square Feet of walls we have ample experience in designing and installing all of them, including Keystone, Allan Block, Verdura, Anchor, Lock-n-Load, Ready-Rock, Earthstone, wire walls, and others. 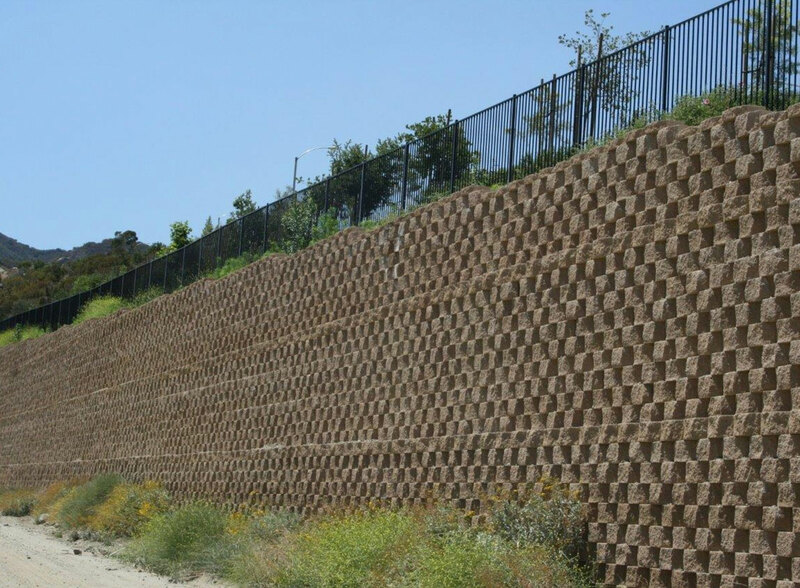 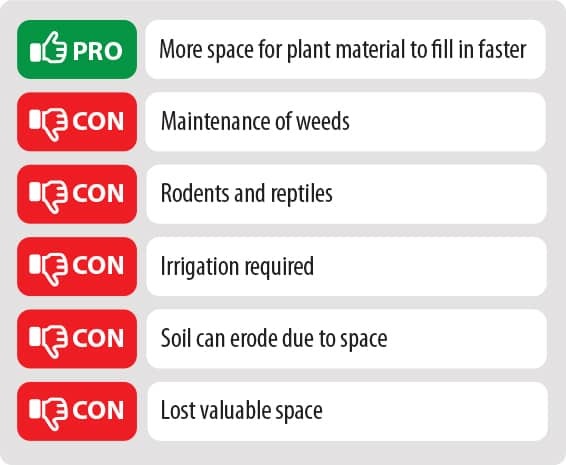 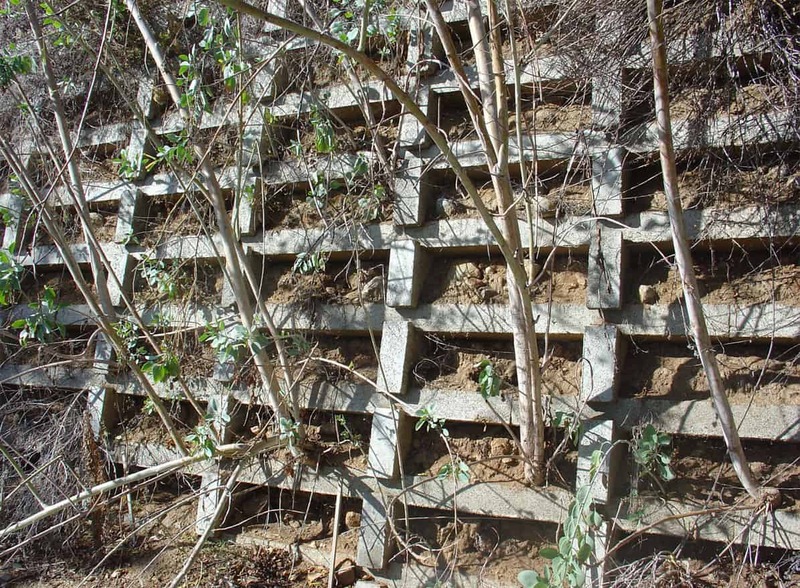 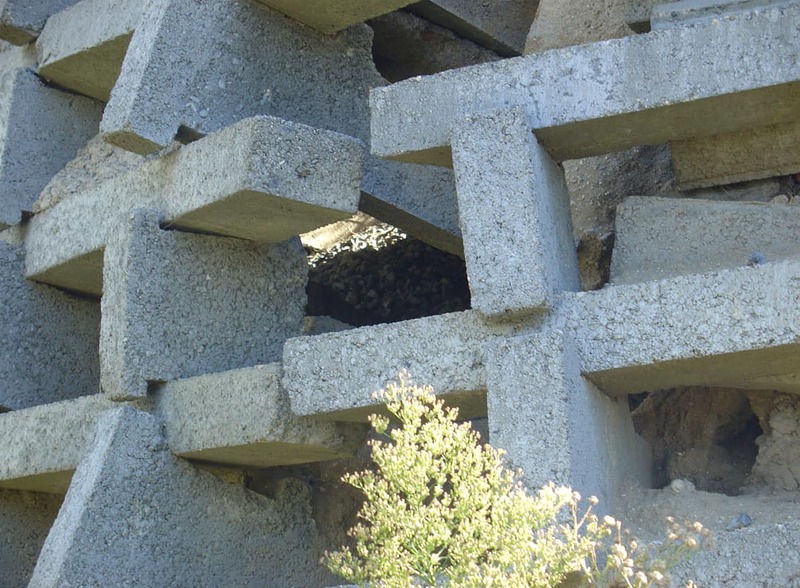 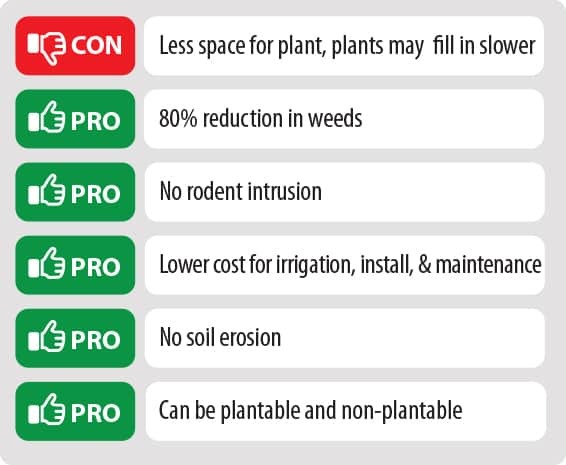 Avoid Open-Cell Plantable Retaining Walls at ANY cost! 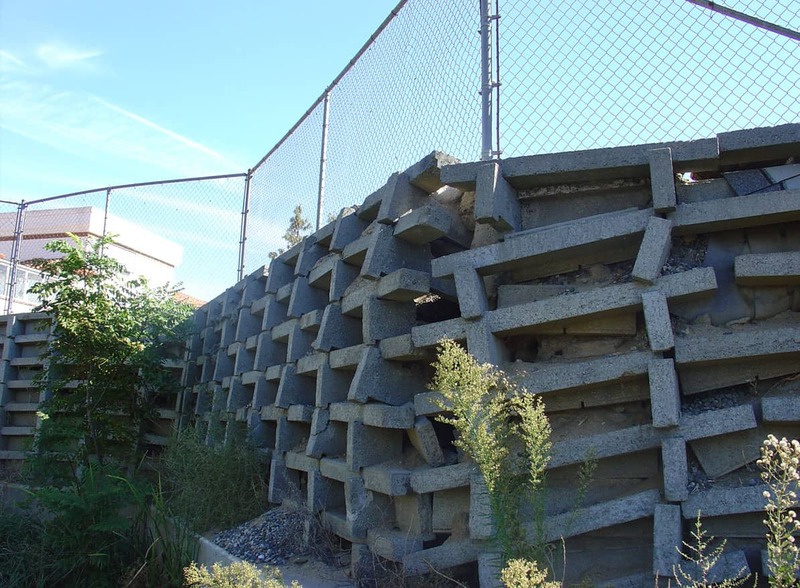 A Hillside representative was recently asked to visit 2 sites that had open cell walls. 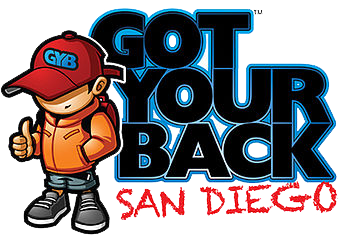 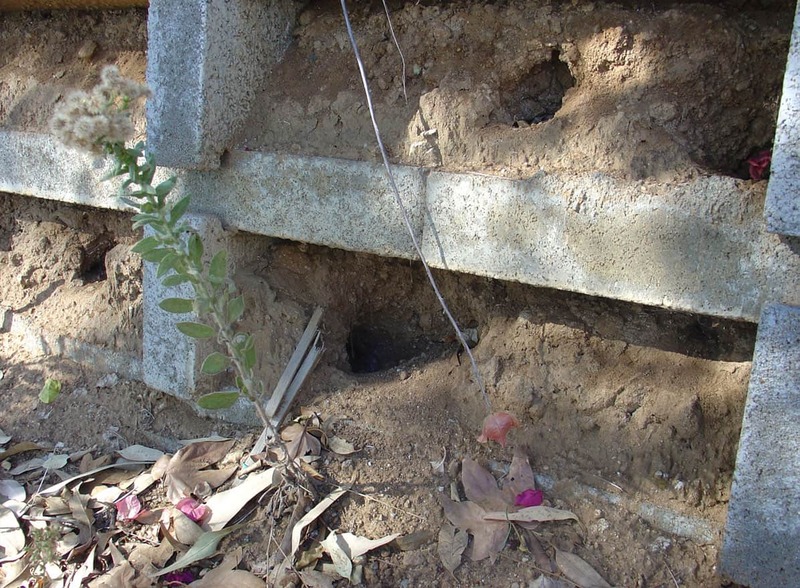 The erosion and rodent intrusion was so bad the owners had to pressure grout all the rodent holes - costing the property owners thousands of dollars. 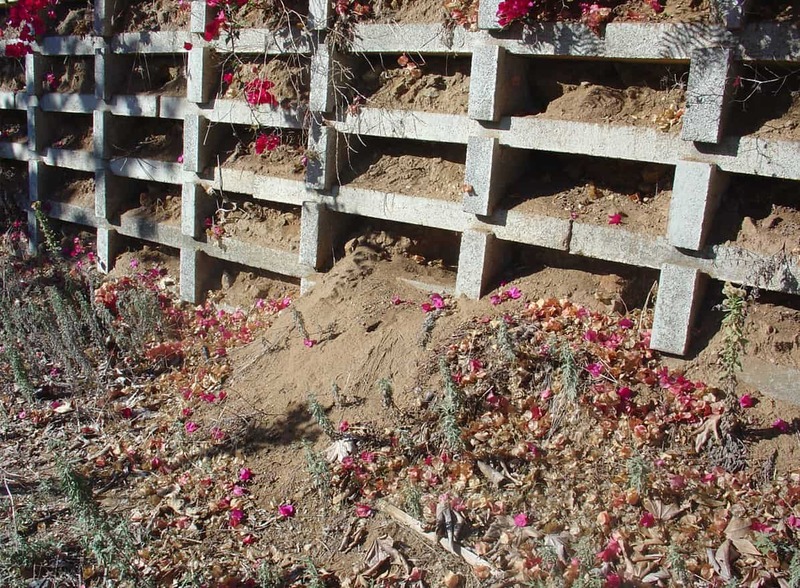 It didn't stop the rodents though...they simply started digging new holes in other sections of the open cell walls that still had soil on the face. 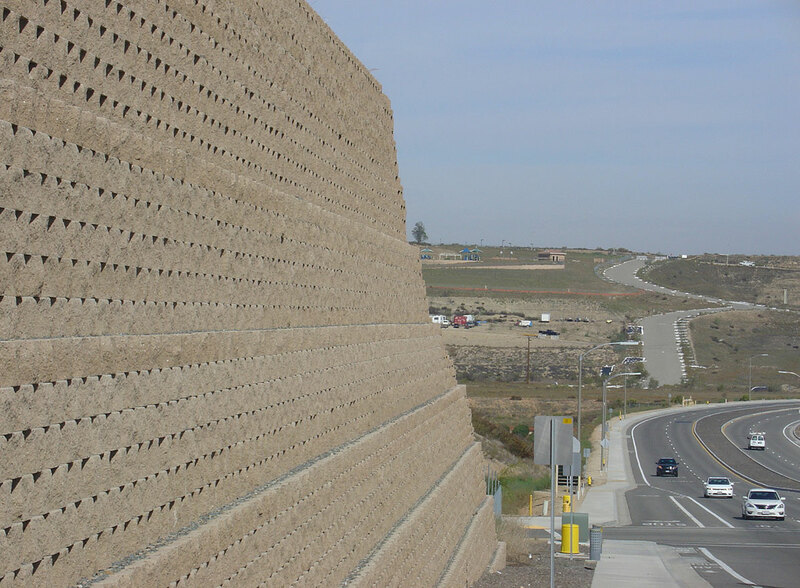 Here we will explore the pros and cons of each type of wall system.